Herschel Vincent Anderson has obtained the Intellectual Freedom Award from the Mountain Plains Librarian Association in 1979. TEMPE, AZ, September 14, 2018 — Marquis Who's Who, the world's premier publisher of biographical profiles, is proud to present Herschel Vincent Anderson with the Albert Nelson Marquis Lifetime Achievement Award. An accomplished listee, Mr. Anderson celebrates many years' experience in his professional network, and has been noted for achievements, leadership qualities, and the credentials and successes he has accrued in his field. As in all Marquis Who's Who biographical volumes, individuals profiled are selected on the basis of current reference value. Factors such as position, noteworthy accomplishments, visibility, and prominence in a field are all taken into account during the selection process. With more than 40 years of professional experience to his credit, Mr. Anderson worked as director of the Mesa Public Library from 1980 to 1999. Prior to this appointment, he held the positions of state librarian for the South Dakota State Library from 1973 to 1980, unit director for the Colorado State Library from 1972 to 1973, associate state librarian for the Tennessee State Library and Archives from 1970 to 1972, and director of the Sandhill Regional Library System from 1968 to 1970. Previously, he served the State Library of North Carolina as an audio-visual consultant from 1964 to 1968, the North Carolina Museum of Art as a librarian from 1963 to 1964, Longview Washington Public Library as an assistant librarian from 1962 to 1963, and the King County Washington Library System as an assistant bookmobile librarian from 1959 to 1962. Mr. Anderson began his career as a pre-professional with the Brooklyn Public Library from 1954 to 1959. Before embarking on his professional path, Mr. Anderson pursued an education at Needham B. Broughton High School in Raleigh, NC, graduating in 1950. He continued his academic efforts with a Bachelor of Arts at Duke University in 1954. Following these accomplishments, he completed service with the United States Army from 1955 to 1957. Mr. Anderson concluded his studies at Columbia University in 1959, earning a Master of Science. Beyond his responsibilities within the field, Mr. Anderson has participated in numerous endeavors outside of his professional circles. He has notably contributed to the Bibliographical Center for Research in Denver, CO, between 1974 and 1980, Mesa Community College between 1982 and 2003, the Arizona Library Development Council between 1991 and 1999, the Arizona State Library Advisory Council between 1998 and 2006, and the Library Facilities Advisory Board for Gilbert, AZ, between 1999 and 2006. He has held many roles with the Western Council of State Libraries, including vice president in 1978, president in 1979, and founding member from 1975 to 1980. Mr. Anderson found further success with The Chief Officers of State Library Agencies (COSLA) as a board director and founding member from 1973 to 1980. Mr. Anderson has also excelled with his civil endeavors as well, having served Saint Mark's Episcopal Church, the Episcopal Diocese of Arizona, Episcopal Church of the Epiphany, and the Arizona Diocese's Northeast Regional Parish in myriad capacities over the course of his career. He has also been associated with the Valley Citizens League, the Maricopa County Library Council, and the City of Mesa, AZ, for which he also was on the historical preservation committee from 2000 to 2006. Mr. Anderson has also held posts with the La Maricopa Vaillas VI Homeowners Association and the Sunridge Homeowners Association between 1980 and 2016. In addition to his primary vocation, Mr. Anderson remains affiliated with various organizations in relation to his areas of expertise. On the executive committee for the Arizona Librarian Association from 1986 to 1987, he had maintained involvement with the Mountain Plains Library Association as president in 1974 and board director from 1974 to 1977 and from 1986 to 1987. He was also active with the Historical Society of the Episcopal Church, the National Episcopal Historians and Archivists, the National Trust for Historic Preservation and Phi Kappa Psi. 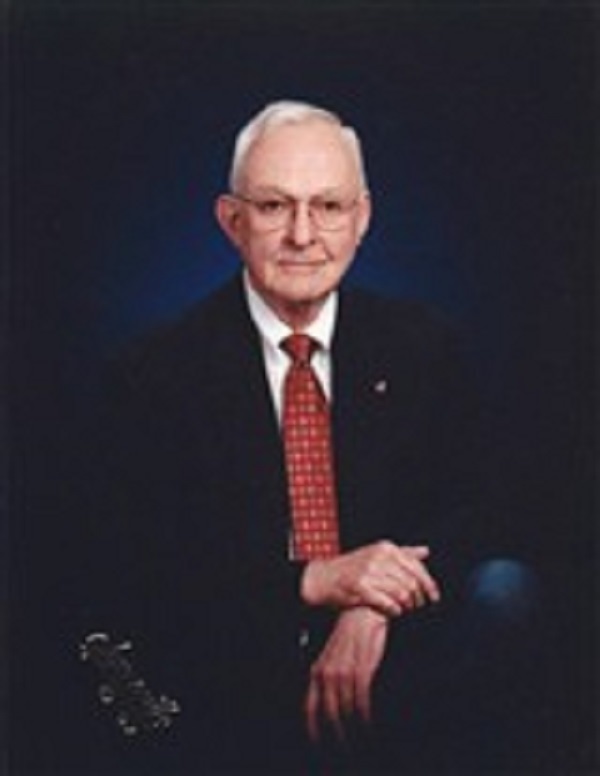 Furthermore, Mr. Anderson was a member of the American Library Association, a member of the North Carolina Literary and Historical Association and a lifetime member of the South Dakota Library Association. In light of his exceptional undertakings, Mr. Anderson has accrued several accolades throughout his impressive career. He has previously obtained the Intellectual Freedom Award from the Mountain Plains Librarian Association in 1979, as well as the Librarian of the Year Award from the South Dakota Library Association in 1977. He was also presented with emeritus honors by the Friends of Arizona Libraries in 1987. Mr. Anderson was selected for inclusion in multiple editions of Who's Who in Finance and Business, Who's Who in America and Who's Who in the West. In recognition of outstanding contributions to his profession and the Marquis Who's Who community, Mr. Anderson has been featured on the Albert Nelson Marquis Lifetime Achievement website. Please visit www.ltachievers.com for more information about this honor.